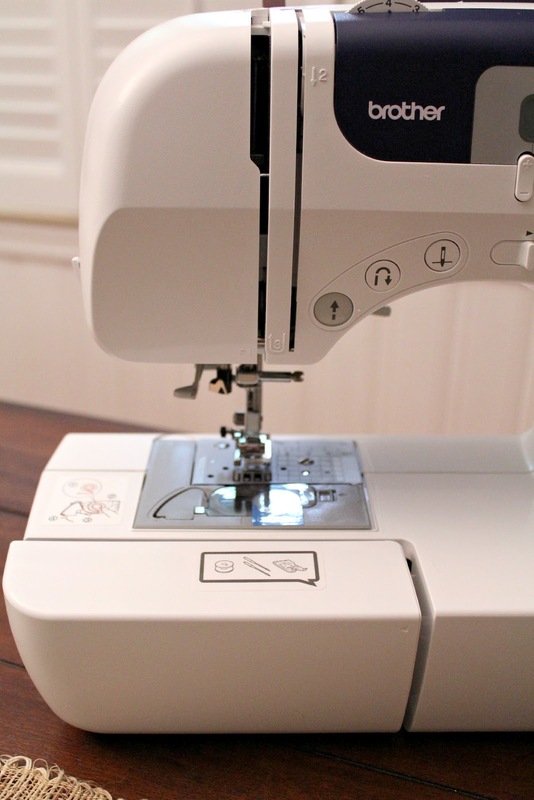 Ten June: Guess Who Bought A New Sewing Machine?! After the excitement of this post, I was all jazzed up about sewing last week (and Britney Spears, obviously) and decided to pull the trigger and purchase a sewing machine. In terms of researching which machine to buy, I started off Googling phrases like "how to buy your first sewing machine" and "best sewing machines for beginners." Unfortunately, a lot of the articles I found went into detail about how you, as a buyer, should prioritize which parts and features of the machine were more important to you, make a list and go from there. Um, what if you don't know the parts of a sewing machine? Yes, hello, Mr. Sewing Machine Salesman. I would like a machine that has a super fancy, automated push-button bobbin. Clearly I don't even know what a bobbin is. 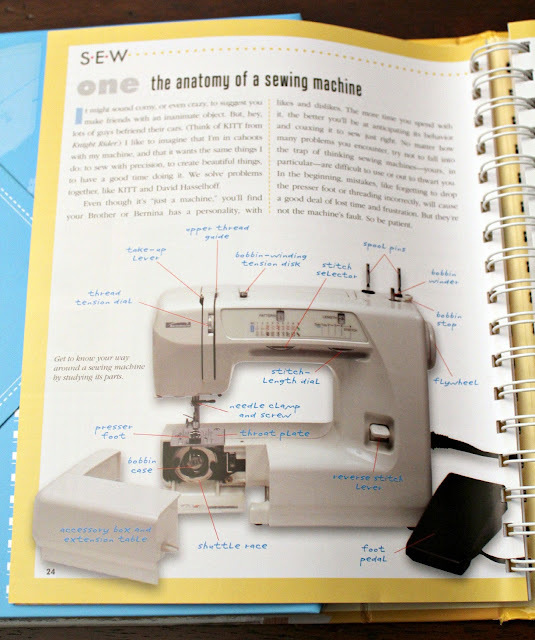 Then I found this awesome "how to pick a sewing machine" quiz over on JoAnn's website. 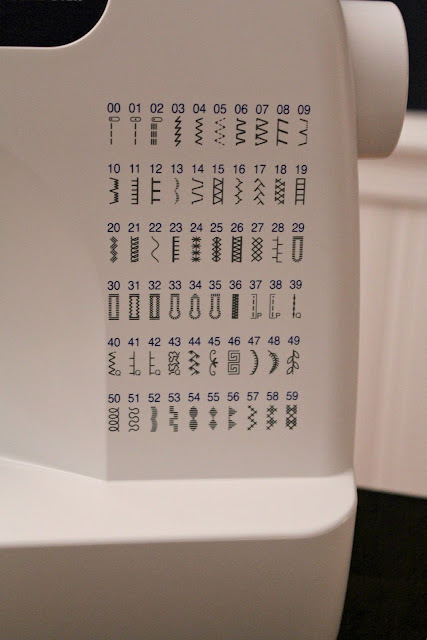 Again, I was a little unclear which features I needed in a sewing machine, but this tool definitely helped me narrow down machines based upon certain general wants and price range. Next, I took the list JoAnn's gave me and started searching the machines on Amazon. Why Amazon? First of all, I had a $100 gift card to Amazon that's been burning a hole in my pocket since Christmas. Secondly, I always find that Amazon gives the best real-life reviews. So off to the review/comments section I went! You can actually sort your search results by "average customer review," which makes this process easier. After comparing a few brands, features and user-compatibility reviews (I want a beginner's machine, people! That's for sure. ), I finally found a clear winner. 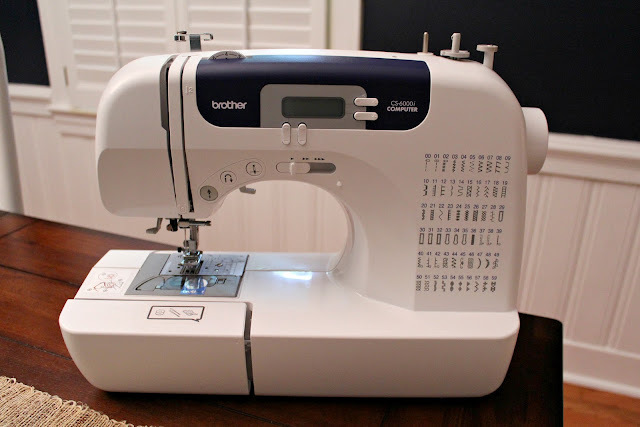 Nestled in the top three customer reviewed sewing machines was one of my JoAnn's picks- the Brother CS6000i Sew Advanced Sew Affordable machine. It had all the bells and whistles I was looking for (I think... I still am not sure what I am looking for in a sewing machine! ), it was highly reviewed ("this machine is so easy to use!") and was listed for $50 cheaper on Amazon than it was over on JoAnn's website. Oh and I really like the pun on words in the name of the machine... "sew" affordable... those Brother jokesters crack me up. But enough with the jibber jabber, let's check out the goods that arrived on my front porch earlier this week! Like Christmas in April, baby. Oooooh, ahhhh. She's a beaut. All of the awesome stitches I'll learn how to do one day. Money shot. That's a foot. And a bobbin. Maybe. Clearly, I need a bit more help than just the manual. 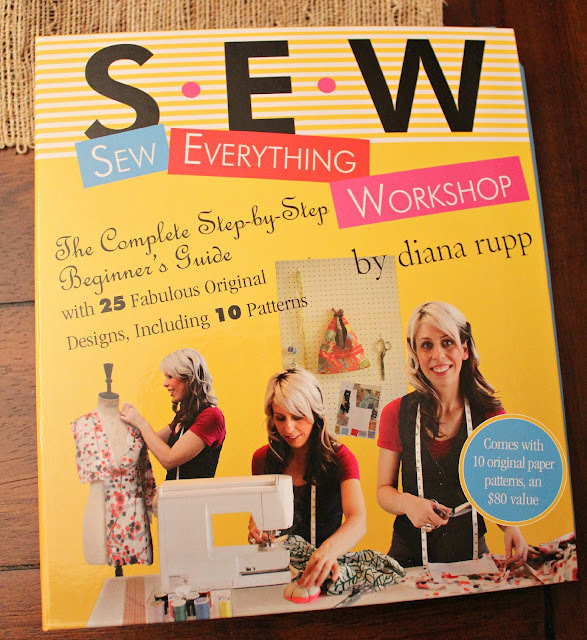 So I also purchased this fun book (again, after reading reviews about user friendliness and helpfulness): Sew Everything Workshop. 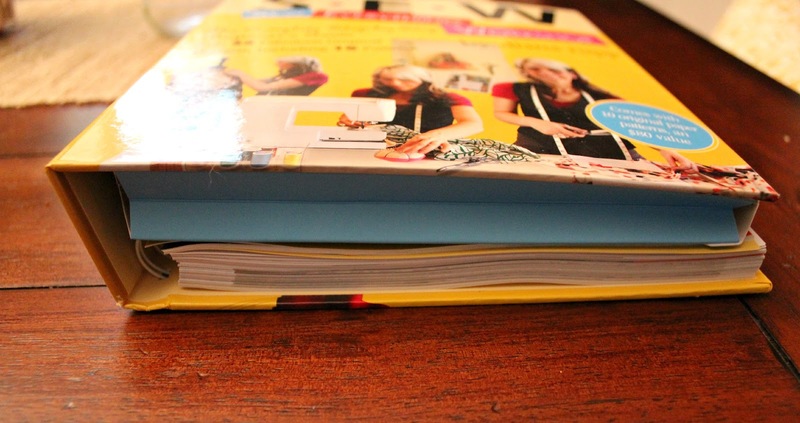 It's pretty much a Sewing 101 book, which is exactly what I need. 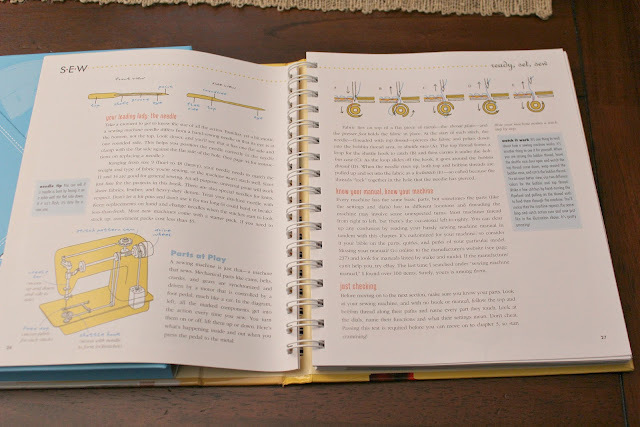 It's a great binder format with lots of pictures (yes, I judge "how to" books by the number of pictures included with the text!) and even includes ten patterns for fun projects down the road. So far, I've mastered learned read the first few chapters about the parts of a sewing machine. You'd be proud... I'm making myself learn these basics before I even turn the machine on! Sadly, not one stitch has been made on the new machine (who, by the way, needs a name... any suggestions?) but that will hopefully change by this weekend when I have a chance to finish reading the intro chapters in the book and the manual itself. I'm doing this the right way, people! for my very first vlog... thank you! Keep 'em coming! Double psst! Today you can also find me over at the blog of my favorite globe-traveler, Aspiring Kennedy, sharing my choice for where in the world I would choose to wake up. Any guesses? Find out my answer (and those of some other amazing bloggers!) right here. oh awesome! i am getting back into sewing again.... it's not hard and you can make pillows and curtains so easily. over the last month i have made both- i used to sew all the time. i made all my diaper bags and i made purses.... it was fun! Congrats - you are going to have so much fun sewing stuff for the babe! I have a very basic Shark sewing machine and it hasn't steered me wrong yet; I think for most people, a beginnger sewing machine is all you'll ever really need! Sewing is definitely one of those practice makes perfect type of skills, so don't get discouraged if you're first few (or several) projects don't turn out the way you'd like. Start out with basics like pillows or simple curtains and gradually work your way up - I think you'll be amazed with how quickly your skill improves! I clearly remember the first day I tried to use my sewing machine. I had planned to sew a pillow. Little did I know that it would take me like, three hours just to figure out how to put the thread in the machine. Not to scare you, though. I'm sure you will figure it out quickly, especially with your new book. And, after the first few tries, it becomes really easy! A sewing machine is definitely on my bday/christmas wish list this upcoming year! Can't wait to hear how you like it! Yay! So excited for you! I can't wait to see what you make...I'm sure it will be amaze-balls! That's awesome. Can't wait to see all the new projects. Yay for taking the plunge! Apparently there are a lof of great YouTube tutorials that help with sewing!! Congrats lady! I used Youtube to figure out how to thread my first bobbin a few months ago and within a few hours I was making burp cloths and baby blankets. Also, if you have an iPad...iPad+Youtube+sewing machine=great combination! Also, I bought my BFF (who you met last summer at lunch in SF) the same sewing machine for her birthday last month. Great minds think (and research) alike! So exciting! Can't wait to see what you'll create! Woo woo! You have to be pumped...and yes....she is a beaut. :) I cannot wait to see all you will create! Congratulations for taking the plunge, and thanks for sharing your choice of machine and "how to" book. I am a few steps behind you, so I'm interested to hear your review after you've sewn something. I might follow exactly in your footsteps since you've already done all the hard research! Thanks! This is sweet! can't wait to see your creations. I want to brush up on my skills now, too! My grandma taught me when I was really little, but I've forgotten most of it now! That is the same machine I have!!! LURVE. Super LURVE. You will be so excited you decided to jump in. Most things around the house require basic basic skills. SO fun. Let's do some sewing projects. How fun! I was thinking about learning to sew but then I found someone who makes pillows and can do things like piping and zippers and decided that would be a better investment. Good for you though! Yay! This is so exciting! Looks like you found a great machine. Good luck with all the upcoming projects! I know there will be a lot of them. I just got a sewing machine for my birthday but it's still in the box. I would love to learn, will check out this book. thanks for the rec! Love it! I just got a new one with fancy digital computer brains and I take solace in the fact that one of us (meaning IT) knows how to sew ;) Have fun sewing!! YEAH!! I think once a woman masters the sewing machine the sky is the limit as to what they can do with interior design! I'd make new curtains for my house every year! HAHAH. That will be so much fun! I have that book (which is great) and a sewing machine and I still can't seem to do most things. I guess I'm not great at learning from books - I need to be shown step by step. You'll have to share some of your tips once youve mastered the skills. I just bought the same machine myself after reading this post and the others you've posted about your burp cloths. I'm brand new to sewing too and hope it's an easy machine to learn on!